Henderson Lake parkrun will launch in Alberta on March 30. Event Director Jim Carter takes a quick time out to tell us the story behind the new event. My wife Ellen and I were first introduced to the parkrun movement by an Ottawa running friend who had just returned from a trip to England. He encouraged us to register and obtain a barcode which we could then use to run in any of the hundreds of parkruns taking place weekly around the globe. We followed his advice, and participated in our first parkrun in Limerick, Ireland in July 2017. We really enjoyed it, met other parkrun tourists and had a chance to talk to members of the local community. It was a very friendly, welcoming, non-competitive activity and provided an opportunity to see and learn more about the city we were visiting. parkrun was relatively new to Canada at that point, but it wasn’t long after that Linda Newton and several other parkrun veterans launched a run near our Ottawa home, at the Beaver Pond in Kanata. Ellen and I ran, volunteered, and coffee’d with this group on many occasions and became strong advocates for this weekly community fitness event. When we relocated to Lethbridge, Alberta in August 2018, we quickly concluded that Lethbridge’s Henderson Lake would be a perfect home for another parkrun. 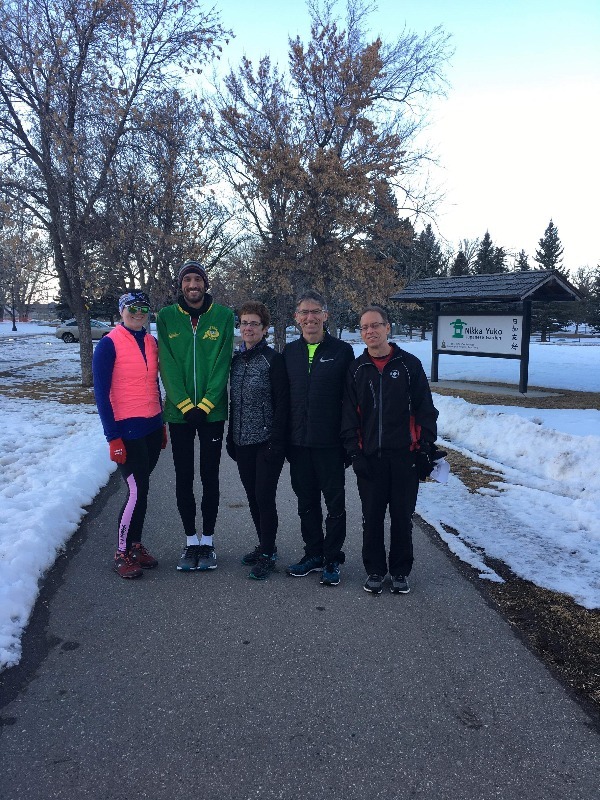 Lethbridge has a well established running community, and Henderson Lake is a favored route for runners, walkers, and families year round. Several of our new friends quickly indicated a desire to be involved, and City of Lethbridge officials and a local running store both immediately embraced the idea and offered their support. The Henderson Lake parkrun was officially approved in December 2018. While I have been an enthusiastic marathon runner and trail runner for many years and have been fortunate to compete in Boston, New York, Chicago and many other marathons, Ellen is a much more recreational, short distance runner. Running has provided both of us with many good friends, and was extremely valuable in allowing us to quickly settle in to a new community. 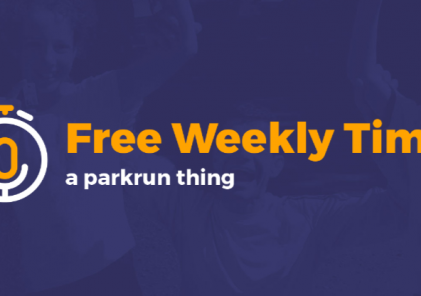 By bringing Parkrun to Lethbridge we hope to share our enthusiasm, as parkruns are a great “social” activity that enable people of all abilities, ages, genders, and backgrounds to participate in a healthy, free, outdoor activity each week. Some of the core team behind Henderson Lake parkrun. From L-R: Nicki Van Eck, Michael Kyweriga, Ellen Carter, Jim Carter and Glenn Vanden Dool. Missing are Matt Malinowski, Brent Guppy and Don Flaig. Our enthusiastic and passionate group of core volunteers includes Glenn Vanden Dool, Michael Kywergia, Matt Malinowski, Nicki van Eck, Brent Guppy, and Don Flaig. Along with Ellen and I, they are anxiously awaiting the first Henderson Lake Parkrun on 30 March 2019 at 9 am. We invite both locals and visitors to walk, jog, run and volunteer at the double-loop 5 km course around Henderson Lake. It is as easy as visiting parkrun.ca to get your barcode!